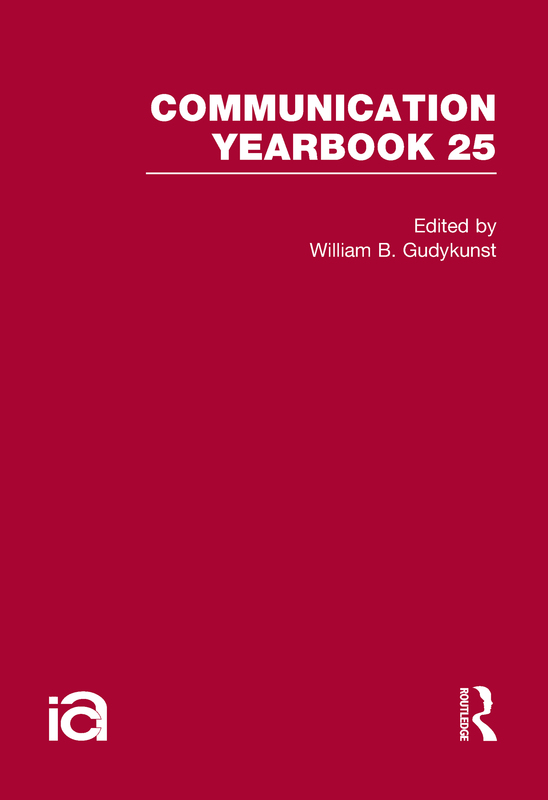 Communication Yearbook 25 is devoted to publishing state-of-the-art literature reviews in which authors critique and synthesize a body of communication research. This volume contains critical, integrative reviews of research on democracy and new communication technologies; the Federal Communication Commission's communication policymaking process; cognitive effects of hypermedia; mediation of children's television viewing; informatization, world systems, and developing countries; communication ethics; communication in culturally diverse work groups; and attitudes toward language. In addition, it also includes senior scholars' reviews of research on imagined interactions and symbolic convergence theory. Representing media, interpersonal, intercultural, and other areas of communication, this is an important reference on current research for scholars and students in the social sciences. Each of the chapters make a unique contribution to the field.